On 15 August 778, Charlemagne’s army was returning from a successful expedition against Saracen Spain when its rearguard was ambushed in a remote Pyrenean pass. Out of this skirmish arose a stirring tale of war, which was recorded in the oldest extant epic poem in French. 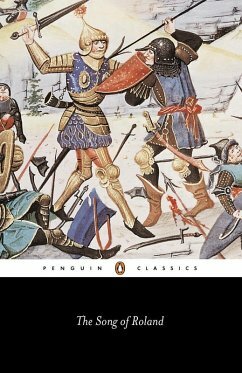 The Song of Roland, written by an unknown poet, tells of Charlemagne’s warrior nephew, Lord of the Breton Marches, who valiantly leads his men into battle against the Saracens, but dies in the massacre, defiant to the end. In majestic verses, the battle becomes a symbolic struggle between Christianity and paganism, while Roland’s last stand is the ultimate expression of honour and feudal values of twelfth-century France. Glyn Burgess teaches at the University of Liverpool. He is an expert on early medieval French literature, and has translated and written widely on this area.